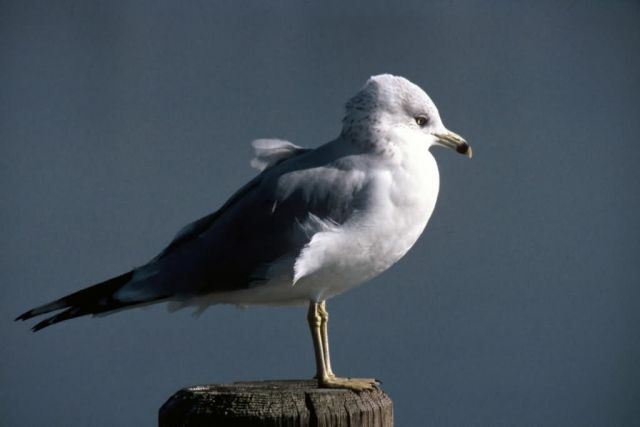 The ring-billed gull nests in large colonies containing many thousands of pairs on protected islands inl akes in Alaska, much of Canada, and the Rocky Mountains. It winters from southern Canada south to Mexico. Away from the coast, it is the most abundant gull in winter.